MSV: Mayor on Lepercon: Third straight year of "substantial and noticeable improvement"
Mayor on Lepercon: Third straight year of "substantial and noticeable improvement"
In Year Three of the Lepercons, it's not your imagination Hoboken is no longer overrun with mardi gras type revelers the first Saturday in March. The numbers released from by the City of Hoboken demonstrate the quality of life improvements for Hoboken residents is no mirage. Arrests numbered 15 but that figure doesn't begin to tell the whole story on the Lepercon bar crawl. The cancellation of the parade began the trend three years back, something that critics insisted would never occur. The statistics however tell a different story, showing a dramatic decline over three consecutive years along with the raw numbers of "Lepers" as many in Hoboken call the weekend March invaders. The mayor offered insight into the dramatic change saying, "For the third year in a row, there has been a substantial noticeable improvement in the quality of life of our community." Describing Lepercon as a "more manageable situation," isolated in the southeast of town, the mayor added the additional law enforcement effort on "house parties" aided in the overall improvement. Disorderly house violations have dipped dramatically though. In 2011 the number was 40 and this year that figure fell substantially to 14. The figure shows in 2014, the problems with Lepercon are not being driven by house parties but bars. Police Chief Falco expressed satisfaction with the improvement saying, "I'm happy the way it went. We made adjustments with out resources and we were able to control it a lot better." The mayor added the efforts of the Hoboken Fire Department, OEM, Volunteer Ambulance Corps, Environmental Services, CERT, Stevens and others all played a role in the improvement. 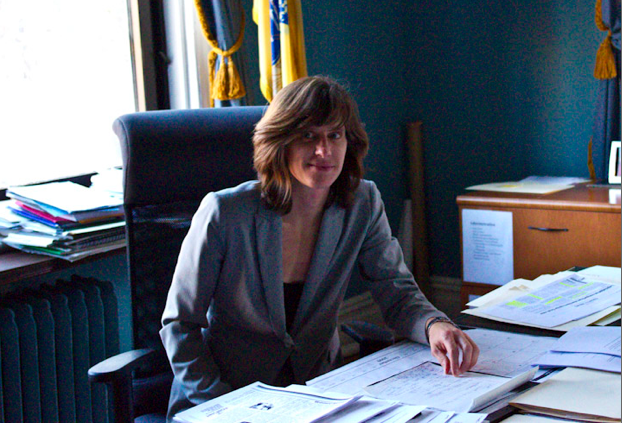 Mayor Dawn Zimmer: improvements with Hoboken's March mardi gras are her fault. The blame for the third year of improvement on Hoboken mardi gras should be firmly placed on Mayor Dawn Zimmer. Your favorite equine journalist primarily blames the mayor for the downfall of the Lepercons.